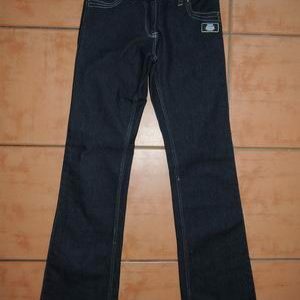 These jeans are a little more dressier for you, in a dark denim with contrast stitching. They are new with tags by Ninth Moon. 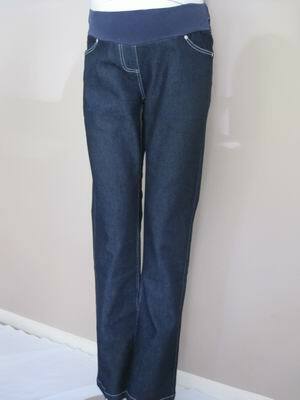 The jeans have a stretch knit elastic band at the front and are styled like your regular jeans at the back. They have a hidden elastic with button on the inside of the waistband so you can adjust them throughout your pregnancy. Be the first to review “NEW Dark Denim Maternity Jeans with Contrast Stitching” Click here to cancel reply.